This lingerie construction guide series is designed to give you the tools to understand how lingerie is made, whether it's made well, and, ultimately, if it's worth the retail price. 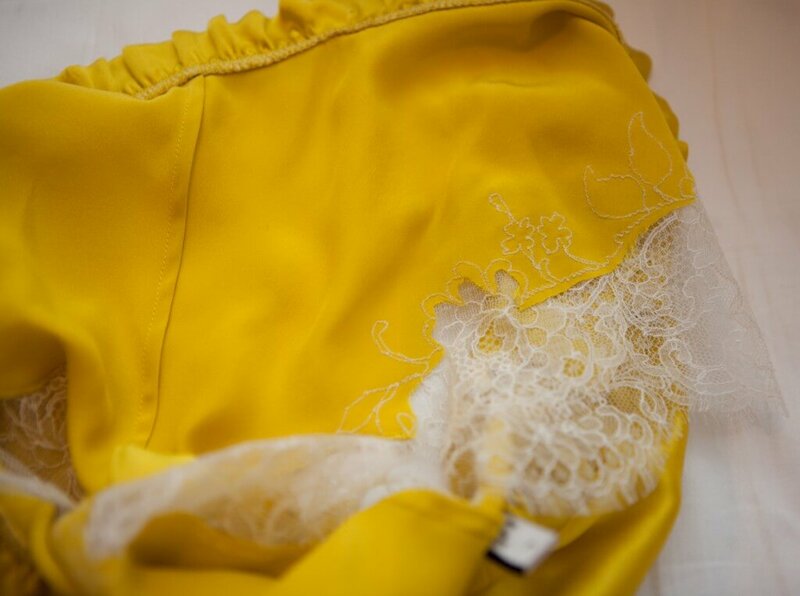 In Part 1 we examined the different types of stitches used in lingerie. In Part 2, we'll cover execution of those stitches as well as linings. Identifying the quality of sewing is an important tool in analyzing garment quality. It also takes time to learn. The more garments you're able to study at different price and quality points, the easier it will be to understand. Always remember to look at the inside of the garment as well as the outside. Sometimes the most important construction techniques are hidden on the interior! 'Budget' clothing often uses longer stitch lengths as a way of bringing price down, as it is quicker to sew. This Mystic City Corset uses a relatively long lockstitch compared to other more expensive corset brands on the market. Stitch length can be an immediate quality signifier. A single short stitch takes essentially as much time to execute as a long stitch, but takes up less space, so more of them are required to complete a seam. Shorter stitches indicate a higher garment quality, as more care and time are dedicated to sewing the garment. Short stitches are also more secure. 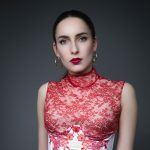 As the cost of clothing and associated quality have fallen dramatically over time, contemporary clothing tends to have longer stitch lengths on average than vintage clothing. Longer stitch lengths are quicker and cheaper, but have a higher risk of breaking and unravelling. Broken stitching should be avoided at all costs, as stitches are what hold the separate pieces of fabric in a garment together. If they break, you risk the actual garment coming apart. Stitches should also be consistent in their length; a varying stitch length can signify problems with the sewing machine and can be a bit unsightly. Contrary to popular belief, loose threads are not inherently a fault or a sign of poor quality. While you should be concerned if your garment is trailing long, loose threads all over the place, it's not uncommon to see the odd thread 'tail' in your clothing. If it bothers you, you can easily trim it off with a sharp pair of scissors. It's important to remember all clothing is handmade. Consequently, each thread has to be cut off by hand. In a garment as complex as an underwire bra, there can easily be over 30 stitch operations in a single garment. The odd loose thread can be easily missed and won't affect actual garment longevity. That said, some loose threads can be a sign of broken or unravelled stitching, so you should check carefully that the stitch from which the thread is coming is still secure. If stitching has broken or unravelled, the garment risks falling apart and may need to be repaired. The stitching in a garment should be accurate. It's difficult to give concrete examples or rules for this idea, but it's something you will pick up with time and experience if you study garments up close. A general rule is you don't want stitching to be unintentionally wobbly: straight lines should be straight and curves should be smooth. Embellishment techniques such as appliqué should have the stitch line follow as close to the motif's edge as possible. Poor stitch accuracy implies the person operating the sewing machine is either inexperienced or rushing the garment. Correct stitch tension is crucial to a good quality garment. Poorly tensioned stitching is at high risk of breaking and unravelling. With stitches like lockstitch, zigzag and three point zigzag, you want the stitch to have the same appearance on both sides of the fabric. If it gathers up with what looks like little dots on one side, the machine tension was incorrect. This can be particularly visible if different coloured threads are used on different sides of the garment. Incorrect tension can also cause the fabric to gather up, even if it’s not intentionally gathered or elasticated. 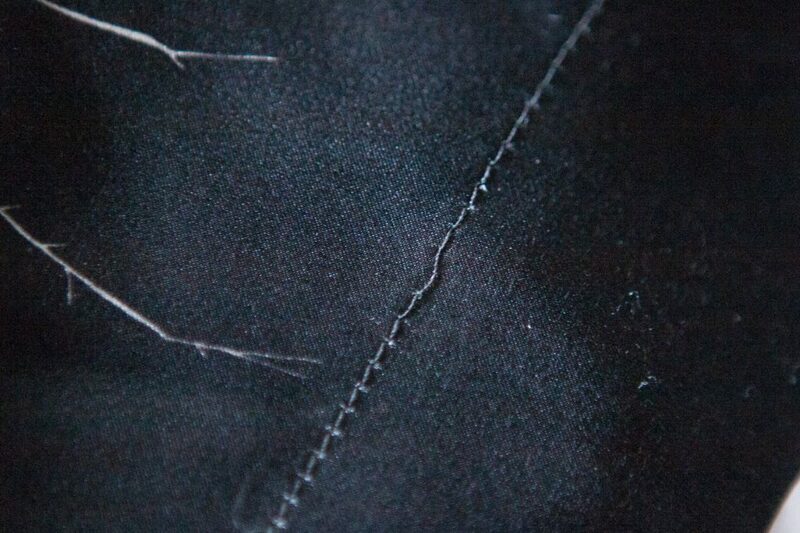 Mistensioned overlock stitches show up when the seam is put under tension, with threads showing at the point the seam is pulled apart on the garment exterior. It's also crucial the sewing machine used is well maintained with appropriately sharp needles. Poor sewing machine maintenance can result in skipped stitches and pulls to fine fabrics like silk. Linings are usually a good quality signifier. Linings are extra interior layers of fabric included either for greater support (such as in cut-and-sew bras using a delicate exterior fabric), or to conceal construction techniques and stitching. Some of the highest-end lingerie brands on the market line their garments so the stitching is almost completely invisible. This kind of construction is very time consuming and requires skill and handsewing, so it tends to be quite expensive. The one garment you should always expect to see some form of lining in is knickers. Unless the style is a loose tap pant, crotchless or intended for boudoir wear only, you should expect to see a lining in the knicker gusset. This should ideally be a natural fibre such as cotton, bamboo or silk. A synthetic fibre (such as polyester or nylon) is usually indicative of a lower garment quality and is likely to be uncomfortable to wear. Linings can be used in bras for the purpose of comfort. Linings prevent any potentially rough seams from being in contact with the skin, as well as making the cup stronger. On fuller bust bras, linings can be crucial to maintain the integrity of the garment by re-enforcing lightweight decorative fabrics. You should hope to see a lining on the cradle of most bras (unless the bra uses a deliberately sheer fabric as a design choice) due to the tension underwires can put on this part of the garment. There's still more to come! In Part 3, we will examine how lingerie is put together with different types of seams. Wow, I always thought the longer stitches were a sign of good quality– I didn’t know it was the complete opposite! I learned a lot from this post. Thank you so much for sharing! Thank you for another informative post! These are most appreciated.